Monument Mondays are weekly emails sent to all current members. It highlights the week’s releases and makes pertinent announcements for members throughout the season. 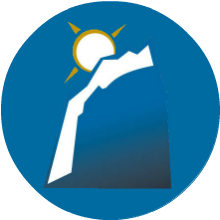 Members should make the habit of checking their Monument Monday email, downloading the content they need, and working through the source material for that week. Monument Monday #34 (4/8/2019)- Libyan unrest, natural disasters, government obligation, Turkey/Hamas sanctions, Venezuela, the Mueller Report, God in nature, information, and Exim Bank. Monument Monday #33 (4/1/2019)- Central American Aid Cuts, Unchanging Nature of God, Why Freedom Fails, Palestine TSP, MANVI, the Mueller Report, Egalitarianism, and Indian Water Sanitation. Monument Monday #32 (3/25/2019)- Mueller Report, Resolutional Kritik, Mercy and Justice, Nuclear Terrorism, Mavni, College Censors, Jehovah's Witnesses, Kavanaugh, and the Asian Infrastructure Investment Bank. Monument Monday #31 (3/18/2019)- Extemp, Trade War, Revelation, Fair Trade Ineffective, Lebanon Sanctions, Social Media, Ilhan Omar, John 14:6, the Patriot Act, and Syrian Rebels. Monument Monday #30 (3/11/2019)- Extemp, Trade War, Revelation, Fair Trade Ineffective, Lebanon Sanctions, Social Media, Ilhan Omar, John 14:6, the Patriot Act, and Syrian Rebels. Monument Monday #29 (3/4/2019)- The Second Korea Summit, Grace of God, Fair Trade Does Good, Yemen, Open Immigration, Battle for Kashmir, Quran: Surah 28.67, Exclusionary Rule, PEPFAR. Monument Monday #28 (2/25/2019)- Investigating Trump, Sovereignty, Fair Price Subjectivity, Yemen, Open Immigration, Brexit, Oppression of Slaves and Women, DNA Evidence Stands, and African Hopelessness. Monument Monday #27 (2/18/2019)- India and Pakistan, Holiness, Purpose of Government, FISA 702, Salvadoran TPS, National Emergency, Christian Jews and Muslims, Carpenter vs US, and Malaria. Monument Monday #26 (2/11/2019)- Green New Deal, Eternality, Tariffs Are Bad, FISA 702, State Visas, Virginia Politics, Christianity as Unique, Attorney Client Privilege, Fight Against Malaria. Monument Monday #25 (2/4/2019)- Saudi Arabian missiles, omnipresence, fair trade isn't fair, Guantanamo Bay, state visas, the indictment of Roger Stone, God helping those who help themselves, search warrants, and PEPFAR. Monument Monday #24 (1/28/2019)- Saudi Arabian missiles, omnipresence, fair trade isn't fair, Guantanamo Bay, state visas, the indictment of Roger Stone, God helping those who help themselves, search warrants, and PEPFAR. Monument Monday #23 (1/21/2019)- Advanced Analysis and Refutation, the Shutdown, Omnipotence, Practicality, Debunking Cases of Terrorism, Rohingya, Hindu vs. Christian Culture, Search Warrants, and Foreign Aid is "good" brief. Monument Monday #22 (1/14/2019)- The 2020 Presidential Race (already), Omniscience, Sweatshops, Definitions and Topicality, Rohingya, Warrants, and the announcement of our new CAMPS Membership. Monument Monday #21 (1/7/2019)- Government shutdown, the Trinity, coffee beans, terrorism, Rohingya, the Democrat House of Representatives, Karma, the Dark Web, Iraq, and Syria. Semester 1 “Round Up” (12/31/2018)- Semester 1 was a phenomenal semester consisting of 250 downloads for speakers and debaters. We're only halfway done with the year! Monument Monday #20 (12/17/2018)- Quality of life, military aid to Egypt, DACA fix, Obamacare killed, Honduras, Russia in the Caribbean, the Hiding Place, and Conscience. Monument Monday #19 (12/10/2018)- Free trade, Egypt military aid, DACA "fix," George H.W. Bush, Justice, Honduras, US Stocks, the Fantastic Mr. Fox, and the abundant life. Monument Monday #18 (12/3/2018)- Consensus, Russia, fixing DACA, Betsy DeVos, individual rights, Egyptian aid, Ukraine, gender roles, innocent people, and the Bridge of Terabithia. Monument Monday #17 (11/26/2018)- Justice, Russia SST, H1B Visas, Pride and Prejudice, Privacy Is Dead, End Egyptian Aid, Remain in Mexico, and the 25th Annual Putnam County Spelling Bee. Monument Monday #16 (11/19/2018)- Miranda Rights, Repeal JASTA, Food Aid, Government Responsibility, H1B Visas, Religion vs. Equity, Saudi Censorship, and Bread & Jam for Frances. Monument Monday #15 (11/12/2018)- Ethics, the repeal of JASTA, Harvard admission trials, food aid, the midterms and basic human goodness? Lots of exciting stuff for Monument release #15. Monument Monday #14 (11/5/2018)- Military aid in Somalia, liberty, food-aid, football, executive orders, sanctions on Iran and counter-plans? Lots of exciting stuff for Monument release #14. Monument Monday #13 (10/29/2018)- Withdrawing from Somolia, Democracy, NATO, and justice for all, Lots of exciting stuff for Monument release #13. Monument Monday #12 (10/22/2018)- Midterm elections, prosperity, AUMF, H2A Reform, trust in the media, and corruption. Lots of exciting stuff for Monument release #12. Monument Monday #11 (10/15/2018)- Criminal justice, congressional success, international terrorism, human dignity, salvation and public safety. Lots of exciting stuff for Monument release #11. Monument Monday #10 (10/8/2018)- Unemployment rates, general welfare, food aid, Sudan, and human rights. Lots of exciting stuff for Monument release #10. Monument Monday #9 (10/1/2018)- More on Kavanaugh, the Indonesia tsunami, immigration, public safety, combat veterans and general welfare. Lots of exciting stuff for Monument release #9. Monument Monday #8 (9/24/2018)- Charity, Afghanistan, immigration, public safety, opioids, Google, and Pakistan. Lots of excited stuff for Monument release #8! Monument Monday #7 (9/17/2018)- The social contract theory, prosperity, freedom, incarnation, Pakistan, and Afghanistan? Lots of excited stuff for Monument release #7! Monument Monday #6 (9/10/2018)- The Kavanaugh confirmation, Venezuela's economy, private property rights, Pakistan, Bernie Sanders, and the ever-exciting practice of crossfire! Monument Monday #5 (9/3/2018)- John McCain's passing, public forum research, refugee crisis, justice, original sin, an award winning humous speech and an Original Oratory about poetry that's also written like a poem. Monument Monday #4 (8/27/2018)- Popular sovereignty, case writing, soft vs hard power, AG universities, Michael Cohen, inerrancy, and a speech on magic that took top awards at nationals. Monument Monday #3 (8/20/2018)- Philosophy, Drones, Refugees, President Trump, Climate Change, National Interest and a speech that won 4 titles in a row. Lots going on in Week #3! Monument Monday #2 (8/13/2018)- Civil disobedience, immigration, Internet of Things, Turkey, strategies for speaking, an award winning duo and an oratory dedicated to word play. Monument Monday #1 (8/6/2018)- International terrorism, immigration, foreign aid, trade and individual privacy debate topics, plus Twitter, higher education, and hunting in speech. Lots going on in Week #1! Ten releases for 14 events and categories. Events include Policy Debate, Lincoln-Douglas, Public Forum, Parliamentary Debate, Extemp, Apologetics, Platform and Interpretation. Perfect to start your journey through the competitive year. Releases continue, this time with case and brief development for speakers and debaters in policy, value, parli and all the speech events. Perfect for those who want to be transformed into champion competitors for the first tournaments of the year. Members are delivered more specific negative and opposition briefs. Eleven different events and categories for 220 additional downloads throughout the year. Perfect for debaters who need to own the source content to maximize their competitive success. 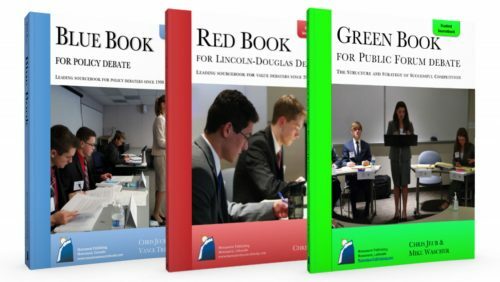 The home stretch through state, regional and national championships, the fourth quarter releases additional downloads for those speakers and debaters who are ready to win. Perfect for those who need additional help to differentiate themselves from other champions.